Motivated Seller - Do Not Miss Out! Mountain views and gorgeous sunsets await you! This is one house you're not going to want to miss out on. Located in the highly sought after Homestead Hills neighborhood, on a corner lot with open space to the east and north of the house. Many upgrades and features. 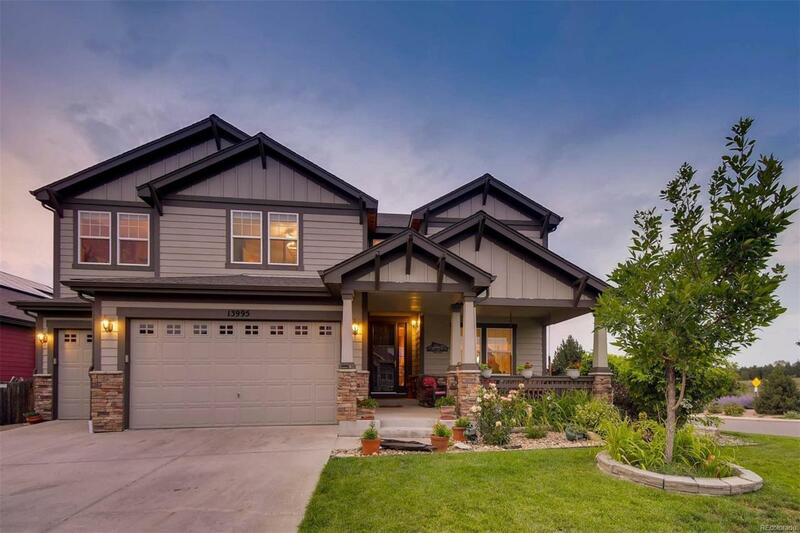 Over-sized front porch, professionally landscaped front and backyard with sprinkler system, rock waterfall, covered trex deck with pull down shades, trex fencing, large stamped concrete patio. Inside you'll find gorgeous hickory flooring, a gourmet kitchen, water softener, on demand water heater, 2 HVAC/2 A/C Units, Hunter Douglas window coverings, 42" kitchen cabinets, a double wall oven, 5 burner gas range, pin lights, new custom backsplash, recycled glass granite counter tops w/ lifetime warranty, an extended island, copper sink in half bath, all bathroom have granite counter tops, stain glass window in 1/2 bath and master bedroom, large sitting area in master bedroom.